Fjordseeing shelter People discovered fire. Fire keeps us safe and warm. Fire helped people to gather into groups, created families and later - countries. It is the origin of modern life. Thanks to fire, communities left caves and became mobile, having more opportunities to discover the world. 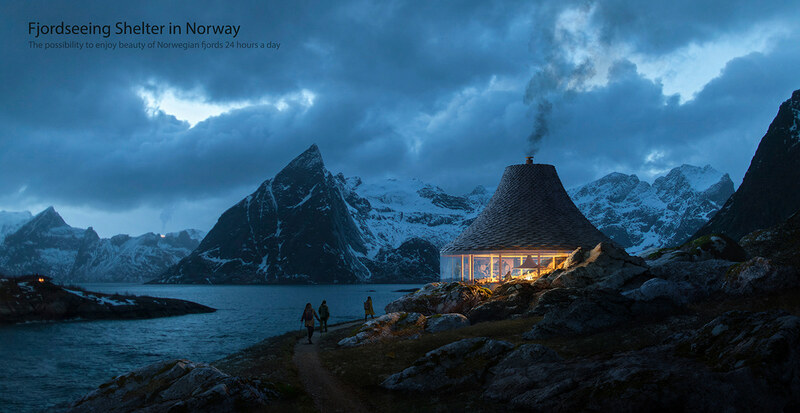 Our fjordseeing shelter opens the possibility to enjoy the beauty of Norwegian fjords 24 hours a day. It allows visitors to appreciate outstanding views under any weather conditions and have rest after exhausting journey. 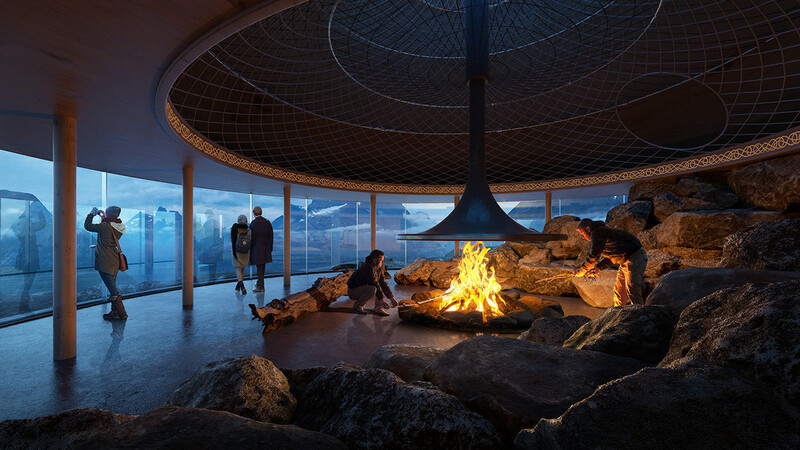 The shape of the building emerged from the environment of beautiful Scandinavian land, harsh weather and a hearth aimed to handle these circumstances. It is designed to cause minimal interventions to the natural landscapes, carefully merging humanmade and nature-made forms. Inside, one can find all needed supplies for survival and enjoy 360° view.